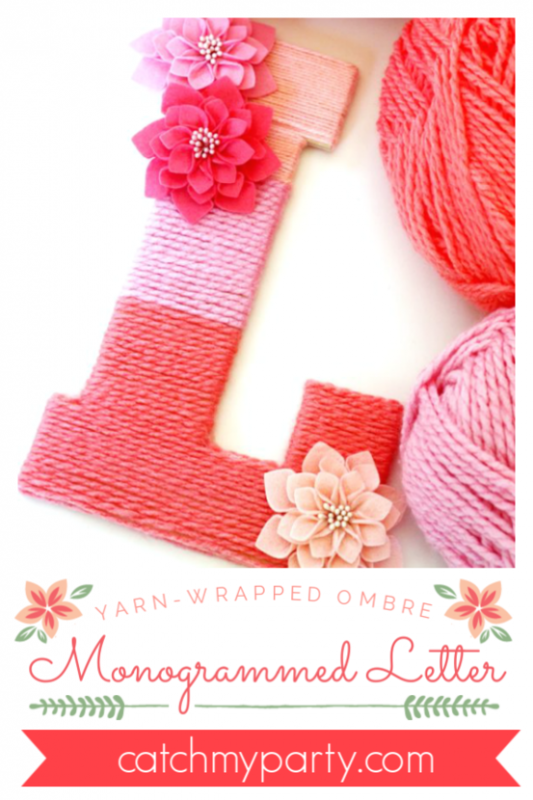 Make an Easy Yarn-Wrapped Ombre Monogrammed Letter! 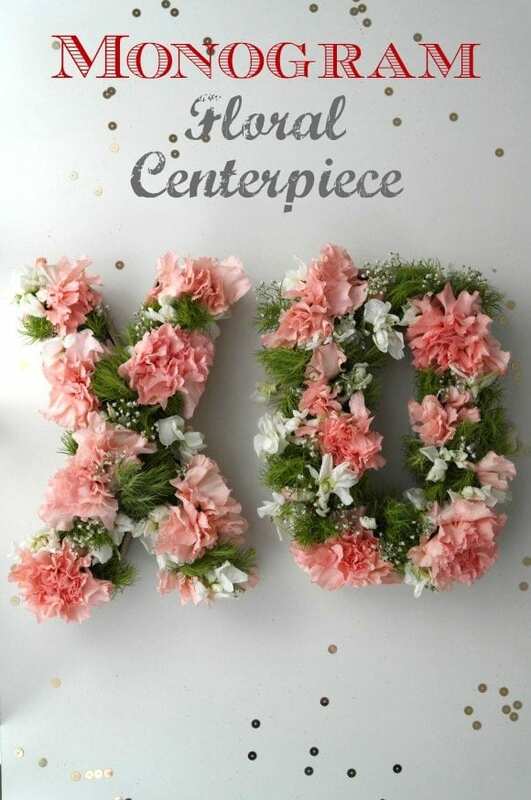 One of our most popular crafts of all time! 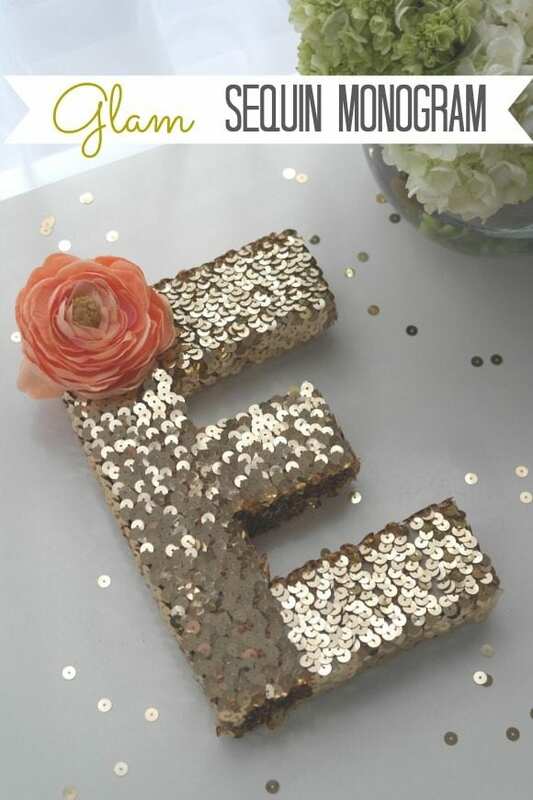 Monogrammed letters are a great party decoration that looks fantastic on a dessert table spelling out the birthday girl or boys name. If you love them as much as we do then you won't want to miss this beautiful yarn wrapped ombre monogrammed letter, that you to make yourself and use at your party or even as a decoration in a nursery or your daughter's bedroom. 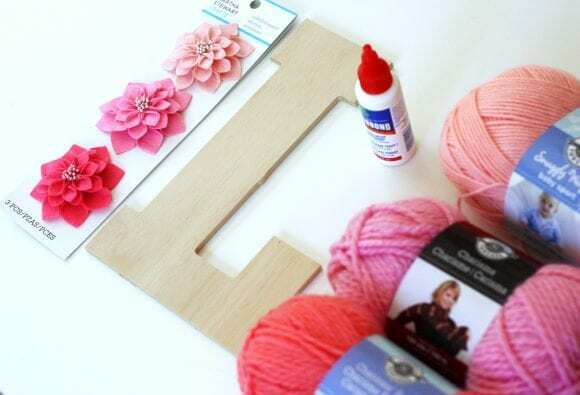 If you're feeling really creative and adventurous use this monogram craft as inspiration and use whatever color yarn you'd like and decorate it with other embellishments such as stars, or hearts, etc... instead of the felt flowers. Let your creative juices so wild! Apply craft glue to the backside, the top, and bottom of the letter. I glued about three inches, started wrapping, then add more glue as I moved up. I left the ends of the yarn long until the whole thing had dried. Then I trimmed them. Add embellishments. The ones I chose had sticky tape on the back, and I was done! The whole thing probably took about an hour and the longest part was waiting for the glue to dry. How do you wrap the top of the letter? Or do you leave that undone? Love these making my Grand daughter one! I found you on Pinterest. What a great idea! Thanks! 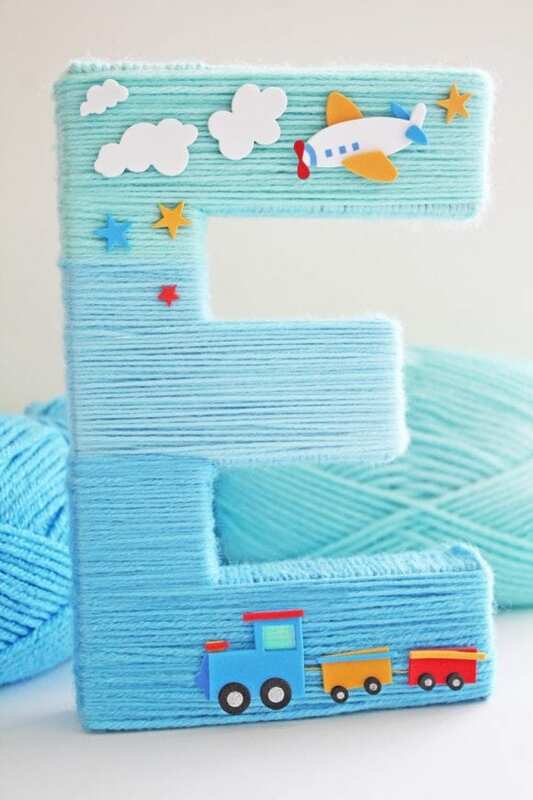 This of the cutest yarn letter ever. Perfect color combo! And I must find those embellishments. So pretty!!! The colors work beautifully and those flower embellishments are gorgeous. What kind of glue did you use? Would Elmer's work? I was just wondering how would I do this with the letter M without making it look weird. Like if I was to do it ombré like that. It would be a light colour on one side and be dark on the other. 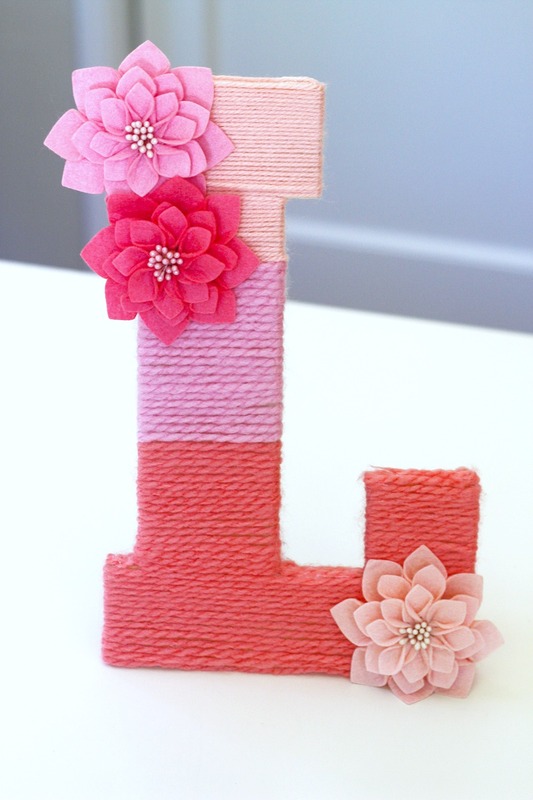 Ooooh this is so pretty, I have to make these for my sister's baby shower! Thank you for a great idea. I just bought Styrofoam letters - hope it works! Does it have to be wood or will cardboard work?